Thanks Dr. Braddlee. Enjoy and have a great week, everyone! 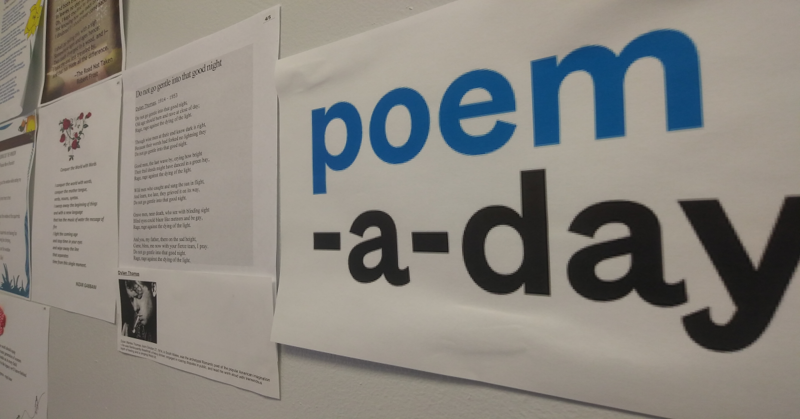 To celebrate National Poetry Month, the library staff at Annandale Campus created a Poem-a-Day wall in the staff room and have posted their favorite poems (or even their own poems). 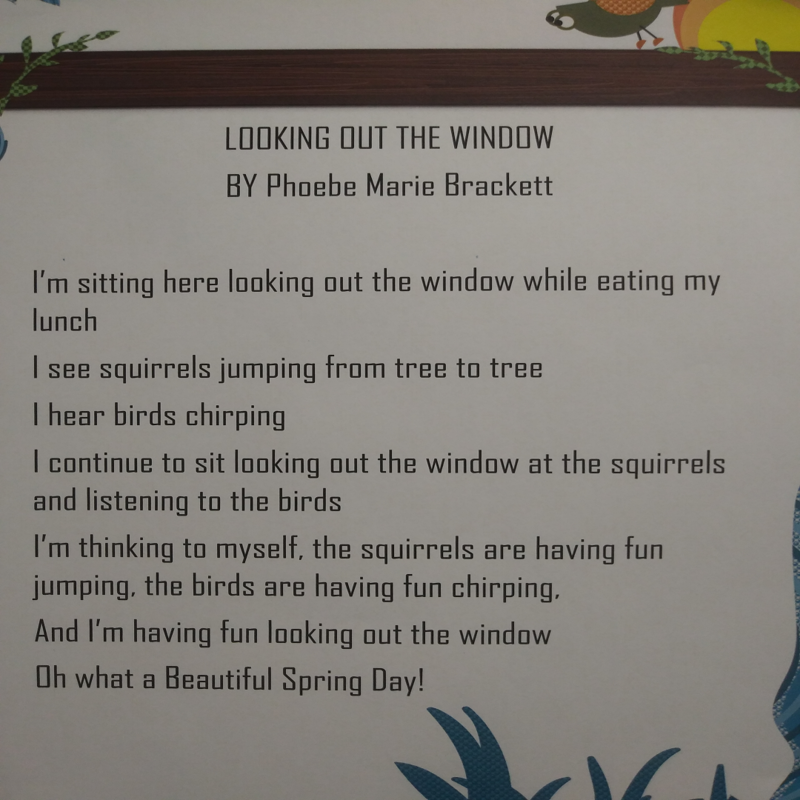 The poem, “LOOKING OUT THE WINDOW”, is written by our circulation manager, Phoebe Brackett. Enjoy this Spring with beautiful poems. The March Book Chat brought together some of our favorite regulars along with quite a few new members. 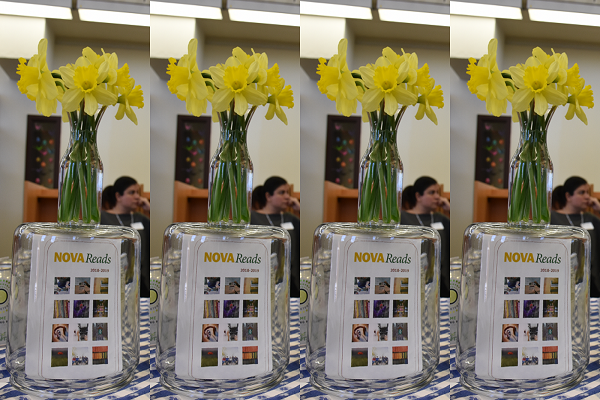 Our NOVA Reads community is now over one hundred members strong! The best thing about the Book Chats is that a self-selected community is forming. 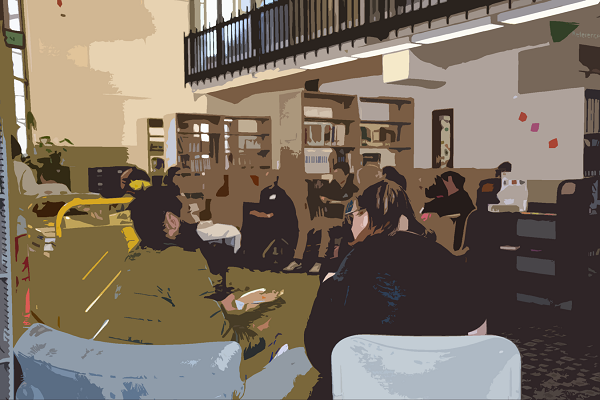 Every month the attendees get together to talk about books and eat. 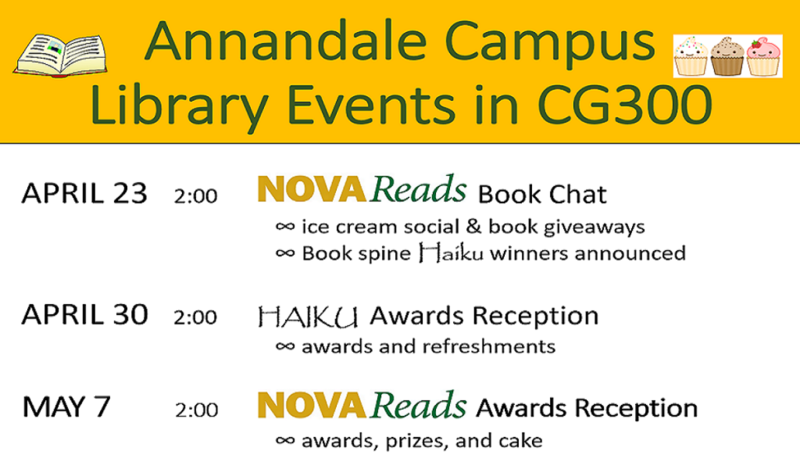 Maybe we should be called NOVA Reads and Eats! The beauty of a community college is that people from so many diverse backgrounds attend. And, as an added bonus – this group likes to read! NOVA Reads Book Chats are a place where you might meet somebody you might not typically talk with. For example, this month we talked with an interesting guy who is reading Marcus Aurelius’ Meditations for fun, and a woman who finished her 6 books in just two months. Success doesn’t require rich parents pulling strings, it just takes a little initiative to take advantage of the opportunities and supports that are available right here on the Annandale Campus. We hope you will drop by the next Book Chat on April 23rd at 2:00 PM in the library. Everyone is welcome. 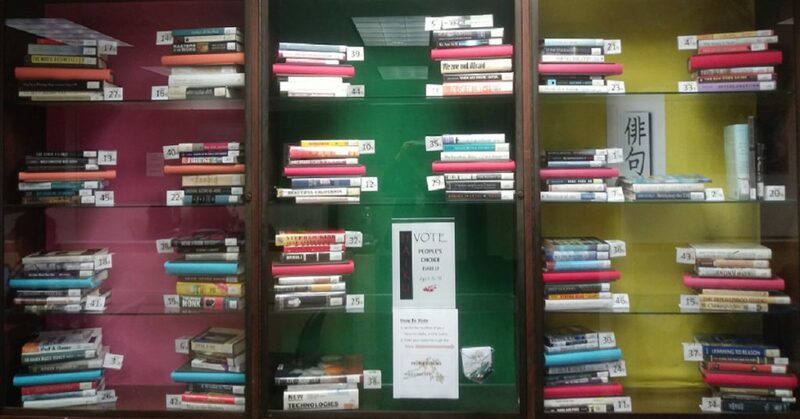 Meet new people, discover new books.